THIS HOME has been contracted and IS NO LONGER AVAILABLE AT THIS LOCATION. This plan has 4883 sq. ft. of unique and Spectacular Living Space On 2 Levels. It is another example of a custom designed home by Wynsum Homes on a street that has become known for homes with distinction. It is an address that maters. A street we love. This Toscana model will have finishes that compliment the prestige of the home. Included are elegant Hardwood Floors, 2 Stone Fireplaces (one inside and one outside for summer entertaining), Gourmet Kitchen with professional built in appliances, Main Floor Family Room, main floor Great Room, formal library, PLUS a bonus main floor full separate suite for their Nanny or In-laws. A very private backyard is fully treed. A circular driveway with two separate garages. One two car garage plus one separate single car garage. This is a Wynsum villa home and the next one is yours. 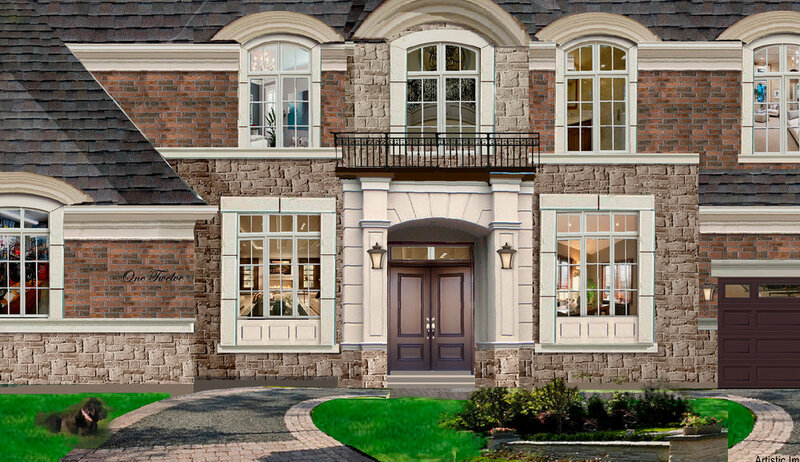 Buyer Customization and Material Selection are part of a new build custom wynsum home. Contact a Wynsum Associate for Details on upcoming homes.